The drones or robots are commonly used these days. They are used for automation of many works. The technicians continued their research in the field of robotics for betterment of robotics technology. A Research group at Bielefeld University has succeeded in showing the main robot of its kind on the planet how to walk. The first steps of that robot have been recorded in the video shown below. The robot is named Hector and its design is modelled like a stick insect. 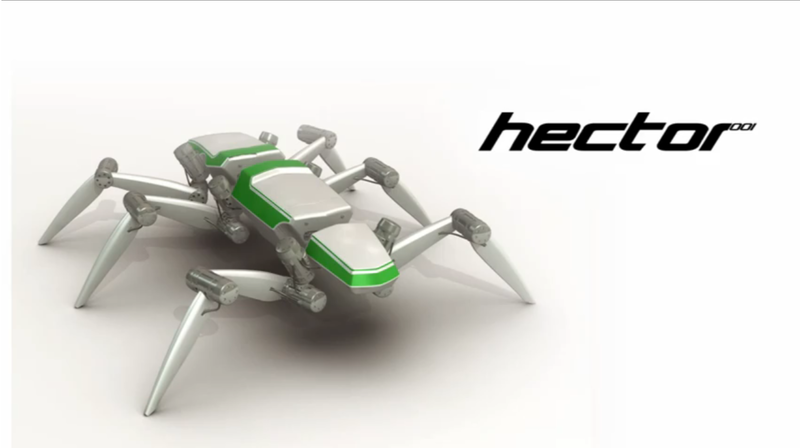 As its design indicates that it is inspired by the insect, Hector has an idle elastic joints and an ultralight exoskeleton. The exoskeleton is made from carbon fiber reinforced plastic (CFRP). It is also equipped with many sensors and its function & working is based according to biological inspired decentralized reactive control concept- the Walknet. There are some short range cameras attached in this robot with 18 passive electric joints. The joints act just like the way muscle acts. This amenity made this drone a unique device. However the elasticity is not enough for Hector to be able to walk on rough surfaces with obstacles. It is hoped that the Hector, which stands for Hexapod Cognitive autonomously operating robot will not only beneficial for robotics but it also beneficial for biologists interested in animal movement. 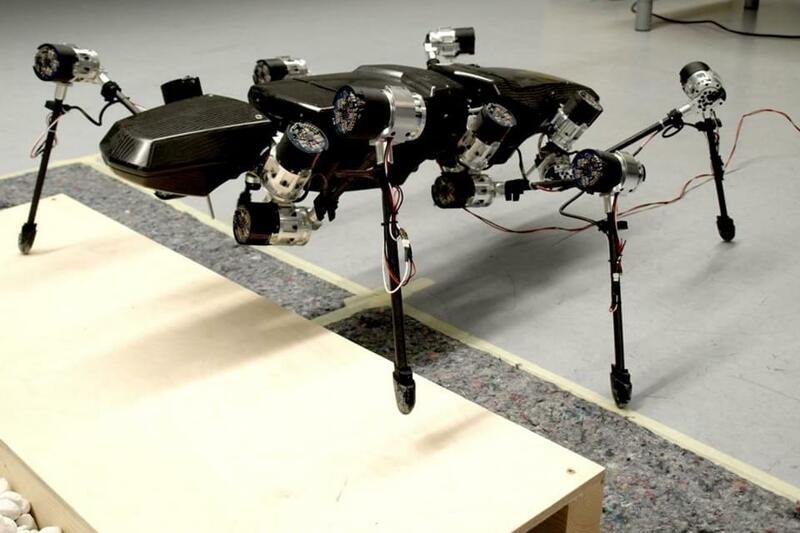 Most of the six-legged drones are made to walk with the help of a tripod or any other fixed leg gait, but Hector is equipped with a free gait. The free gait is a flexible leg which can control to deal with rough surfaces. In free gait leg technology, each leg is able to making its own decision for movement for when and where to move. It is basically called “Active Posture adaption”, which means movement with the help of sensors attached. Hector is able to figure out how to proceed the next step with facing the basic obstacles, such as wooden platform, slippery ground etc. To run this robot without any difficulty, all the sub systems are made to communicate with each other. It is important for sub systems to communicate because Hector might have too many legs in the air at same time and it becomes unstable and fall over. 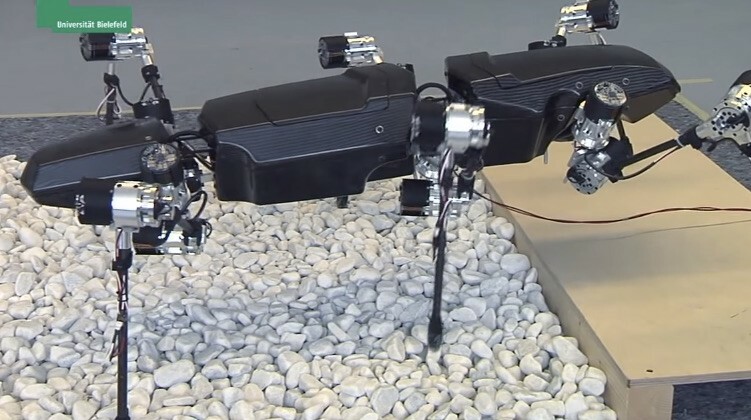 The legs of this robot can collide with obstacles and it may fall if the systems cannot communicate properly. A further stage in the development of the robot was the design and production of the robot body. This robot is designed in two colors, Green & white and Black. Hector can behave like an actual insect which make its own decisions to proceed with facing the difficulties comes in its path. At present, Hector is still an incomplete stick robots but its creators says that by 2017, they will upgrade its technology and design including its software. Unfortunately we don’t expect the Hector strolling robot to be accessible at any time soon as the revealed model is still in its initial phases of improvement. At the same time it is hoped that this new robot will permit the formation of new technology for the development of self-sufficient freight requests as well as additional terrestrial meanders that can be conveyed to our surrounding planets for investigation and exploration.